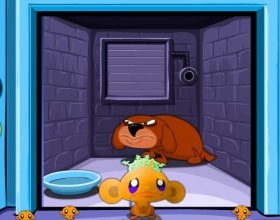 It's hard to believe but our monkeys are unhappy again :( As usually your task is to use your mouse to solve different point and click puzzles to make them happy once again. Looks like those monkeys will never be completely happy :) Another version of this point and click puzzle game where you have to solve dozens of situations to make monkeys happy. Use mouse to play the game. 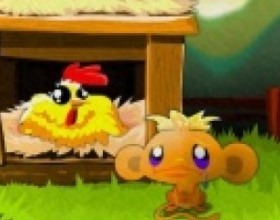 Monkeys are unhappy once again. This time you can choose the most unhappy of them all and select an outfit for him. 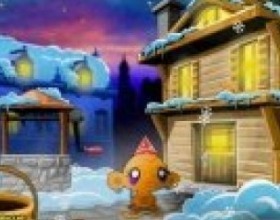 Help him to solve various puzzles and help other creatures. Use mouse to point and click. Why are those monkeys so sad all the time? 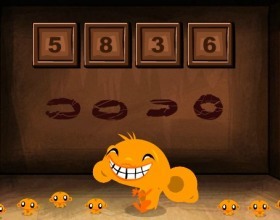 :) Another part of this funny point and click puzzle game where your task is to make monkey happy again. Solve some tricky situation to make him happy. Use Mouse to point and click on objects. 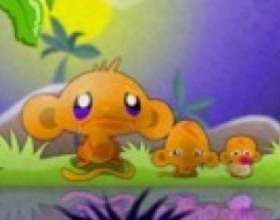 Once again our little cute monkeys are sad. 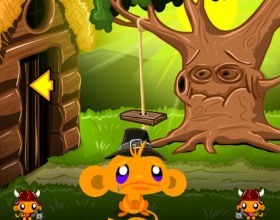 Your task is to solve various puzzles to make four sad monkeys happy. 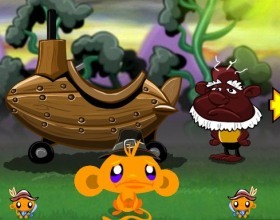 Solve all 14 new levels with an old grandpa monkey. Use Mouse to point and click on objects. IMPORTANT! Use slider tool above to change game window size. You play as John Turner and your task is to kill dozens of enemy creatures in eight comic story chapters. 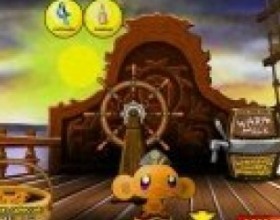 Use Mouse to play this game and click on the action icons to fight against enemies. You have to help Oak to stop Rattata attacks. 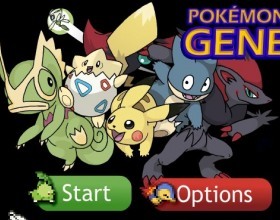 To do that you have to catch and train pokemons to defeat your enemies. 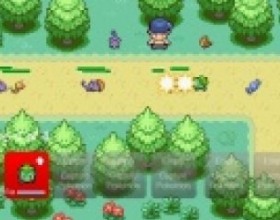 Place your pokemons around the path to stop enemies. You can upgrade your units at any time or place them on other positions. 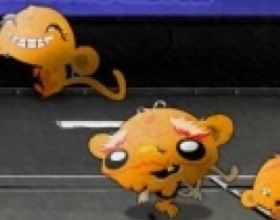 Also you can capture other pokemons during the battle and they will fight for you. Use Mouse to control this game. Monkeys are really sad and you're the one who must make them feel better. 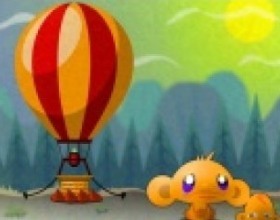 Solve different puzzles to help monkeys travel around the world. 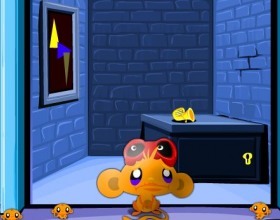 Use Mouse to point and click on different objects and cheer up those monkeys. 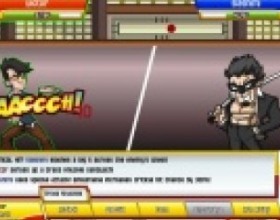 You must become the strongest member of the mafia and destroy ninja clan soldiers who are taking over the town. Walk around your town and beat your enemies, buy new weapons and win the game. Use mouse to control the game. 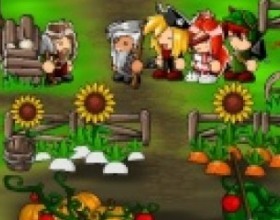 Epic Battle Fantasy continues and your mission is to guide our heroes and get back their lost powers. 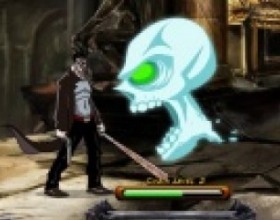 There are lots of monsters you have to fight, various types of weapons and many kinds of skills and spells. Use W A S D to move around. Press Space to interact with objects. Use Mouse too. 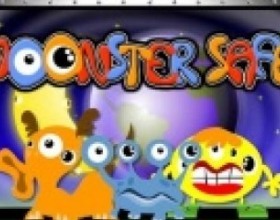 Your aim is to use hints to solve puzzles and free every Monster and win the game. 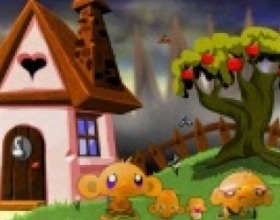 Select stages from main menu. Use mouse to point and click on the objects and interact with them. When there's something to interact with cursor will change to hand type pointer. 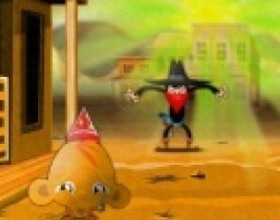 Ninja-Pi-Ro are on a mission to find rare and valuable stolen diamond. 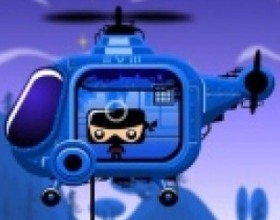 Your task is to help them by pointing and clicking with your mouse and control a Ninja, a Pirate and a Robot. Each of them has his own abilities to solve puzzles. Click on circles to perform actions. Collect coins for better score. 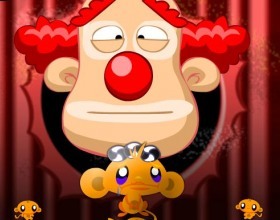 Your task in this simple point and click puzzle game is to make the monkeys happy again. Use mouse to click on objects and places on the screen. 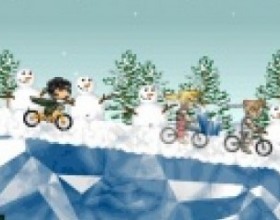 Some levels also include other mini games. Level by level game will become more and more challenging. 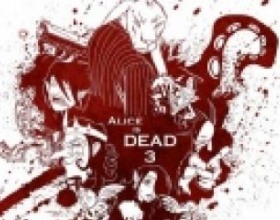 Your aim is to play as mad rabbit, drive your car and destroy it. 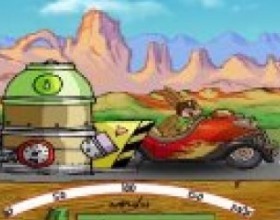 Drive your car as fast as you can - crash into obstacles to get maximal damage. Press and hold Space for acceleration, release it when on maximal power to throw your car into the race. Use Up and Down arrows to move, use Left and Right to select special items and use them by pressing Space. Our life is closely connected with modern technologies, computers and Internet. We use these achievements of modern civilization everywhere: at work, at home, while resting, etc. Obviously we cannot separate our children from dealing with computers. It would be foolishly to do so in terms of rapid development of modern life. Moreover, it is absolutely unnecessary. If organized correctly, a child’s interaction with computer can only benefit his personal development. 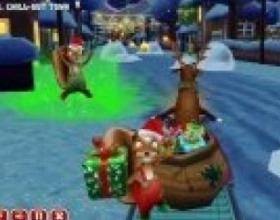 Various research show that computer kids games stimulate the development of children’s many abilities and skills. But to tell the truth a lot of young parents question the safety of their children during their playing the computer games. This is mainly caused by the fact that they themselves were growing up in a bit different environment; computer technologies were not available in the same way as it is now. As a matter of fact things are not as scary as it may seem. The main issue to remember is the next: parents should control their children’s dealings with computer. The child mustn’t spend all his free time in front of a computer. Computer game should be only a part of his everyday tasks and entertainments. One can find a wide choice of computer games for kids on our site. Constantly updated content allows parents to choose exactly the game which their kid likes most. 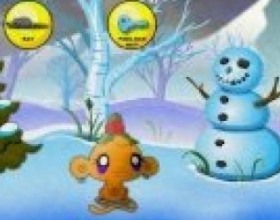 Besides, among the other computer games for kids, the site contains dress-up games, action games, Japanese games, puzzles and riddles which will develop a child’s logical thinking. 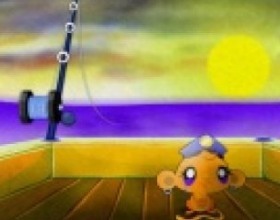 Games-cartoons enjoy great popularity among kids. 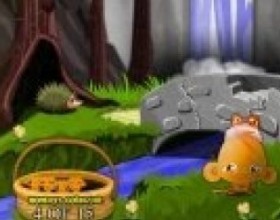 These games allow children to imagine themselves as fairy-tale or fantastic characters. 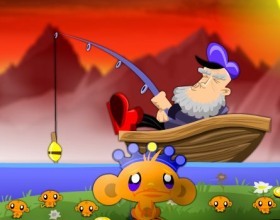 Games-cartoons became popular within a record period of time. Nowadays there is a great variety of these games. The thing is that one can surely name modern games as a true art. That’s why they are closely connected with the other branches of art, especially with literature and cinema. Fantastic and fairy-tale heroes of cartoons are often the game heroes. 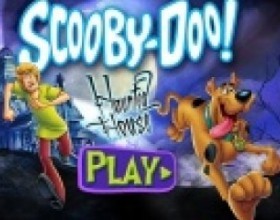 Cartoons and books, in turn, are frequently founded on computer games. Kids like imagining themselves in a role of their favorite hero and control his actions. Therefore their imagination and fantasy are developing.